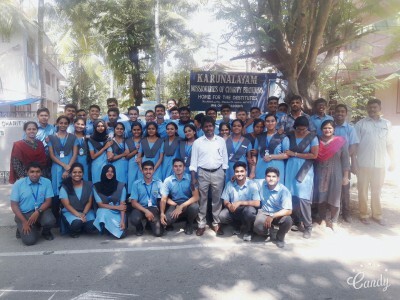 The students of Std XII visited Karunalayam, the home for the physically and mentally challenged people. Lunch was sponsored by the students and they entertained the inmates by singing songs. The children spent valuable quality time with the inmates.